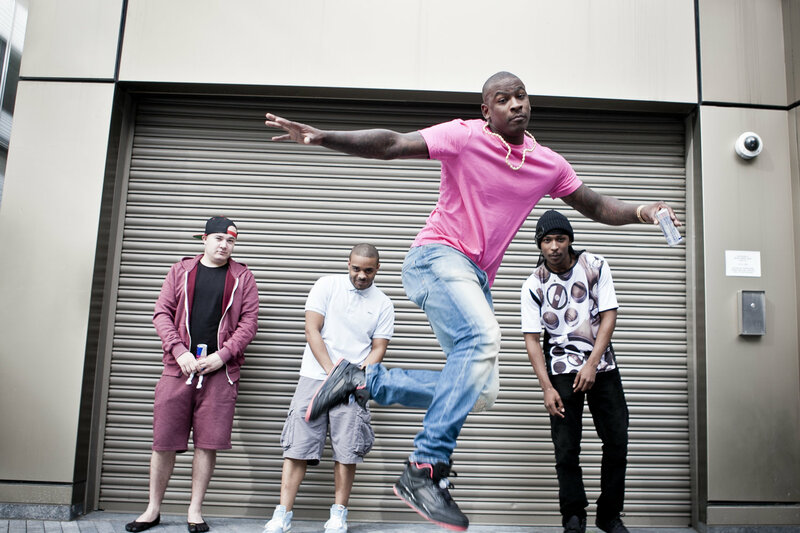 With Red Bull Culture Clash 2014 nearly upon us, the winners of the 2012 title, London-based Grime sensations Boy Better Know are stepping things up, eager to keep hold of their championship title. The guys are dead serious about getting gold for the second time, that they have set off on an epic journey to learn and further their knowledge on the history of what it is they do so brilliantly. Of course their journey took them to the birthplace of sound clash culture – Jamaica. It was in Jamaica that Skepta, Shorty, Jammer, Frisco, Solo 45, Lay-Z and DJ Maximum hooked up with the genre’s founding fathers and freshest talent. The guys not only met with the originators of Kingston’s dancehalls, but they collaborated with the pioneering U-Roy and veteran sound-system selector Ricky Trooper, as well as newbie and rapidly rising talent Newbaan, before they took their skills to the unforgiving Unruly Clash Wednesdays showcase. The end result of their epic and historical journey and experience has been turned into this short film by Red Bull Music titled Jamaica Better Know which can be viewed below.